A bridal gown can be one of the biggest expenses of your wedding day. But there are a number of options if you’re trying to watch your budget. Nowadays women have the choice to rent a designer gown when they can’t afford one, but what are the advantages and disadvantages of doing this? Deep discounts: Dress prices can start as low as $100. 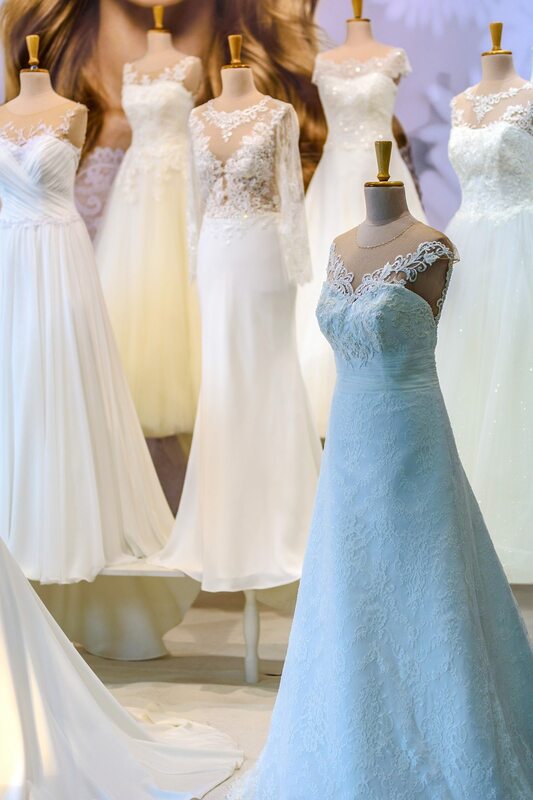 Wide selection: Many pre-owned bridal stores offer a great selection of designer labels. Excellent condition: The majority of these dresses have only been worn once, some not at all. Haggle room: Some pre-owned bridal gown stores will let you negotiate a price. Sizes galore: You can choose from a wide range of sizes and it’s easy to have the dress altered to fit you perfectly. Eco-friendly: You are helping the environment by re-using the dress instead of buying a brand new one. You can always look at new dresses until you find designers you like then find the dresses at a pre-owned bridal store. If you are considering buying a pre-owned wedding dress, you can check out this list of designer wedding dresses. Saving money: It’s less expensive than buying a new dress, so you can use your savings for something else, like your honeymoon. Expanding options: Because the price is lower, you get more options to choose from within your budget. No storage issues: When the wedding’s over you can return the dress, so you don’t have to worry about the expense of special storage. Destination friendly: If you’re having a destination wedding, it can be costly to transport your wedding dress. You can eliminate this problem by renting a bridal gown in your destination city. Don’t forget, renting is not just for bridal gowns. Your groom can rent his tuxedo just as easily. You maid of honor, bridesmaids and groomsmen can also rent their outfits, which can often make it easier to match them all, and everyone saves money. Your wedding day is a very special day, on which you celebrate the love you share with your significant other. Because you want it to be perfect, choosing the right dress is essential. Whether you decide to rent or buy, the important thing is that you find a dress that you love, and that will make your special day magical. Kayleigh Hooper has been a fashion designer for over ten years and she recently moved her expertise into the wedding dress design. She enjoys sharing her ideas and design tips online.